True to our local communities. Pedestal Bank is proud to serve you with convenient locations across Louisiana. Find yours now. Check out all your checking options. Choose from choice interest, simply free, or premier interest. Save more with a savings account. For rainy days or future plans, explore how you can grow your money. Mortgages you can truly live with. Take a stroll through our wide variety of home mortgage products. It’s your future. Own it. Let Pedestal Bank help you shape your financial path forward. 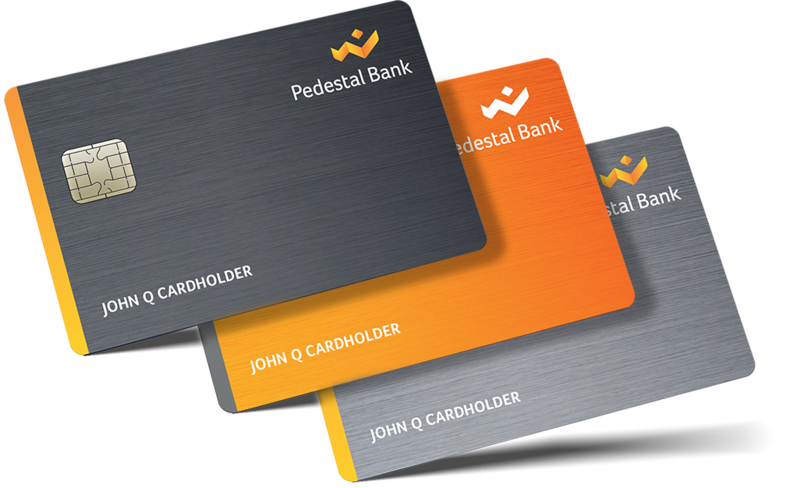 Pedestal Bank debit cards look like credit cards but act like checks. Use them to get cash at any ATM in the country and make purchases without the hassle of bringing out your checkbook. You’ll get your own PIN and it’s free to use anywhere MasterCard is accepted.